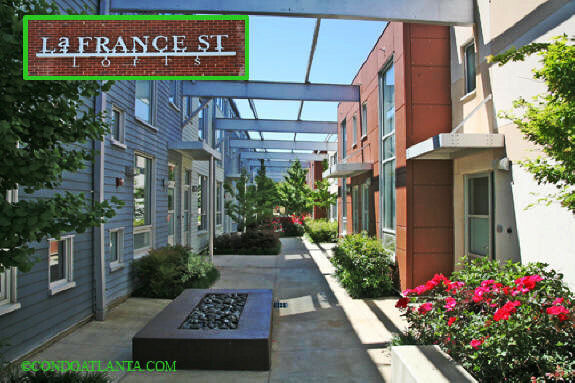 LaFrance Street Lofts is a super cool community featuring swanky, sophisticated modern loft living in Edgewood Atlanta. Enjoy all the benefits of a home location near the Ponce City Market, Little Five Points L5P, Lake Claire, Historic Kirkwood, Inman Park, Candler Park, and the Heart of Modern Metropolitan Atlanta. Love living just a short drive to the Fernbank Museum of Natural History, the Edgewood Retail District, Freedom Park, and the Historic Pratt-Pullman Yard near Gilliam Park. Community amenities for the enjoyment of LaFrance Street Loft homeowners include a swimming pool and fitness gym. Commuters will appreciate access to travel routes along Dekalb Avenue, and Clifton Road.